Getting an investor visa allows a foreigner to live and work permanently in Brazil. Once you obtain an investor visa, you can invest in opening a business in Brazil, Brazilian real-estate or stocks, and can even open a savings account in the country. In this article, we will be going over what you need to know to get an investor visa in Brazil. Keep reading and ensure you are aware of all the ins-and-outs of the Brazilian Investor visa! You probably have more questions! Don’t worry, we have more answers for you in our next section. Getting a Brazilian investor visa will allow you to live and work permanently in the country. Below, check out the answers to some common questions people have about getting a Brazilian investor visa in regards to money requirements, length and restrictions, and rules once you get a visa. From the amount of money you need to invest in Brazil to how to invest your money in the country – in this section, you will find all your investor visa money answers. What do I need to do to obtain a permanent investor visa? – You must be able to invest at least R$500,000 in an already existing Brazilian business, or a new company. Can I transfer my investment to a Brazilian individual instead? – No, the money has to be transferred to a Brazilian bank account. If I decide I do not want a Brazilian investor visa anymore, can I have the investment back? – If you decide you do not want a Brazilian investor visa, you can take back your money any time, however, please note that the visa will then not be renewed. Stay on top of the amount of time you have to stay in Brazil with the answers to other time restraints or requirements you might not have been aware of in the country. How long is the investor visa valid for? – Your residency status is permanent so therefore you can live and work in Brazil as long as you maintain your investment in the country. You can also apply for Brazilian citizenship after 4 years in normal cases and 13 years in special cases. How long does it take to renew the residency? – The first renewal is after 3 years and you will receive the new document in about 90 days. 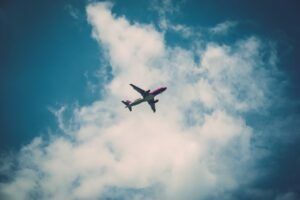 Can I leave the country during my residency period? – Yes, you can leave the country for trips but it must not be longer than 6 months out of each year. Can I bring family to Brazil during the visa process? – Yes, you can bring your family to Brazil after you get your investor visa. Once your investor visa is issued, your family members will have permission to come to Brazil. Do I have to come back to Brazil to keep my residency status? – You need to visit Brazil once every 2 years in order to maintain permanent residency status on an investor visa. Do I have to keep my investment in Brazil? – Brazilian authorities will periodically check if your investment is still in the country. If you have left your investment in the country, your investor visa will be automatically renewed. How to Get Brazilian Citizenship? You may apply for Brazilian Citizenship after 4 years of official legal residency in Brazil. With a Brazilian citizenship, you are eligible for dual citizenship and public sector jobs. What are the requirements for obtaining citizenship in Brazil? If you are interested in becoming a Brazilian citizen, you need to make sure you have all the requirements listed below. Have proof of uninterrupted residence in Brazil for at least four years prior to applying. Keep in mind that trips abroad do not count as interruptions. Learn how to read and write elementary Portuguese. You must be able to provide for yourself and your family. You can provide proof that a relative provides you with enough income to match legal requisites. Not owe any taxes in Brazil. Provide proof of righteous conduct. Obtain a ‘Certificate of Good Health’, unless you have lived in the country for more than two years. You can also obtain your Brazilian citizenship in one year if you have a Brazilian spouse, child, or parent. It can also take two years for those possessing certain professional, scientific, or artistic skills, and three years for individuals that are of high net worth or are company owners. Interested in Obtaining your Brazilian Investor Visa? You have all the information you need to get your Brazilian Investor visa. For more tips on incorporating a business in Brazil you can check out our resources and get your investment going in the growing Latin American economy. Reach out to our Country Manager of Biz Latin Hub Brazil, Bruno at [email protected] and see how we can support you in Brazil.